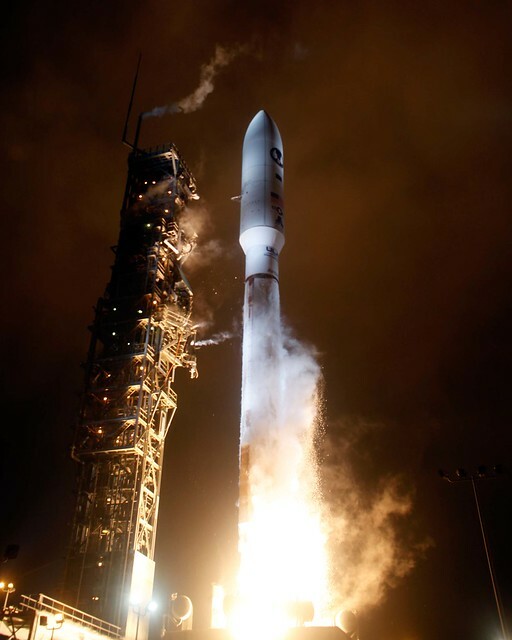 A rocket carrying classified satellite cargo has been successfully launched from Vandenberg Air Force Base on California’s central coast. A release from the base says the Atlas 5 rocket carrying a national security payload for the National Reconnaissance Office was launched Monday shortly after 9 p.m.
No details about the satellite’s orbit or capabilities were released. The launch was a project three years in the making by Vandenberg’s 30th Space Wing, the United Launch Alliance and the NRO, which oversees the nation’s constellation of spy satellites. Hear that voice during the countdown? Same as in our ringtone. Go ahead and download it. Satmex 5 next potential target of interference from Galaxy 15 as the rogue satellite continues to drift out of control with the communications package still operating. Rascom-QAF1R aand Nilesat 201, launched on Ariane 5 ECS rocket from French Guiana August 4, are now in operation. Artel is selected by GSA and DISA as first winner under $5 billion satellite services contract vehicle. Hughes Communications inaugurates its third India satellite hub at Hyderabad to enhance its offerings to its clients and serve as a disaster recovery back-up site. Spacenet Integrated Government solutions now operates Raysat Antenna Systems U.S. Division, recently acquired by Spacenet’s parent company, Gilat. NASA announces awards for NASA Launch Services II contract, to the tune of $15B. The Indian Space Research Organization (ISRO) is stepping up its production to launch eight spacecraft a year in order to meet increasing demand. KVH announces new airtime rate plans for its mini-VSAT broadband service and hardware, including seasonal rate for subscribers not using vessels year-round. ViaSat releases software enhancements for its LinkWayS2 satellite network system adding mobile communication capabilities and network control center operating system options. FCC refuses to extend deadline for Globalstar to come in compliance with commission rules so its mobile spectrum can be used by partner Open Range in delivering broadband to remote users, directly impacting Open Range’s plans. RapidEye successfully passes Operational Readiness Review for the European Space Agency. Astrium wins new compe\itetive contract from European Space Agency as follow-up to the Next Exploration Science and Technology study to develop a Lunar Lander. WTA white paper "Ka-Band and the Teleport" examines how the coming wave of Ka-band satellite capacity may transform the business of companies that create and deliver services via satellite today. Space Systems/Loral (SS/L) is supporting Change the Equation (CTEq), a CEO-led initiative to cultivate widespread literacy in science, technology, engineering and math (STEM). Pactel International establishes a new satellite link between their US Hub and the Cocos Islands, using Newtec’s DVB-S2 technology. Kepler’s prediction begins to be realized as rings build around earth formed by space junk, such as remains of the collision between a Russian satellite and an Iridium satellite in 2009. Ghana-base triple-play provider K-NET uses Newtec’s Sat3Play to extend the reach of their services throughout West Africa. Marlink and Vizada institute significant expansion of Marlink’s contract with one of world’s largest shipping companies – AP Moller-Maersk. According to the sify news website, Bangladesh will soon launch a new satellite for improvement of information and communication technology, a government statement said. Russia to fully rebuild its network of weather forecasting and monitoring satellites by 2030 under a state program for the development of meteorology. Astrium Services has signed a 10-year partnership with the Russian research and development center ScanEx for the reception and distribution rights on the upcoming SPOT 6 and 7 satellites. Integral Systems subsidiary SAT Corporation chosen by Hispasat to upgrade Monics carrier monitoring and interference detection to Hispasat’s 1E satellite. A Space Tracking and Surveillance System (STSS) Demonstration program satellite shows increased set of capabilities by detecting and tracking another satellite. KVH mini-VSAT coverage for Internet and Voice to be expanded into new South American region as KVH signs agreement with Star One for capacity on C-1 to serve Brazil. New Chinese broadcast satellite Sinosat-6, launched on September 5, faces shortened life as leak develops in its helium-pressurization system. Rockwell Collins has teams with ND SatCom to integrate the SkyWAN 7000 series modem into the SWE-DISH CommuniCase(r) Technology (CCT) platform. Mobile Satellite Services and the Need for Speed – NSR webinar October 13 to discuss demand for connectivity on land, in the air, or at sea, coupled with drive to give customers faster download speeds at cheaper prices. “The importance of mobile satellite spectrum is demonstrated time and time again and cannot be overstated. 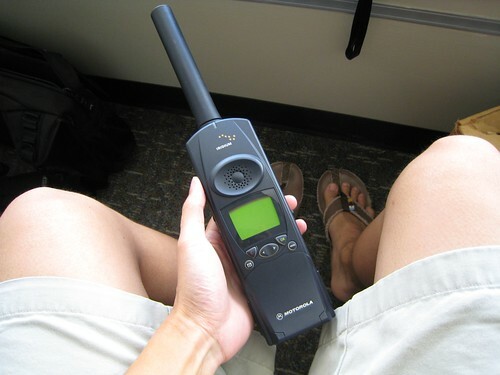 This spectrum is used for the provision of satellite telecommunications services that make it possible for first responders, UN relief agencies, and military to provide the critical services of rescuing survivors and coordinating housing, food and medical care quickly in the aftermath of hurricanes, tsunamis, earthquakes and other disasters. Indeed, the FCC has always been careful about requiring the MSS industry to roll out satellite services in addition to terrestrial services. It wanted to see a successful MSS industry and agreed with MSS players early on that adding a terrestrial component would result in better device form factors and greater penetration in buildings, a drawback to today’s satellite services. It appears Globalstar was banking on the fact that rural broadband is an initiative near and dear to the heart of Genachowski and the commissioners and hoped that would prompt the FCC to rule in its favor. 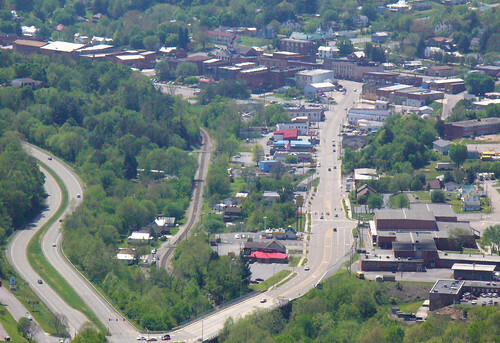 Open Range had the spectrum and the funding to make rural broadband a reality across some 500 rural communities. "Globalstar maintains that these public interest factors are more compelling now, as denial of the requested extensions would force Open Range to discontinue wireless broadband service to rural customers who are currently receiving it," the FCC said in its ruling. The FCC’s ruling was the right one, but the consequences will be hitting a company that had one of the best chances to fulfill the FCC’s goal of bringing broadband to underserved areas. There a number of parties hurt by Globalstar’s lack of follow through. For instance, Alvarion and WiChorus, now part of Tellabs, have contracts with Open Range. I don’t know where Open Range will find new spectrum in 60 days. 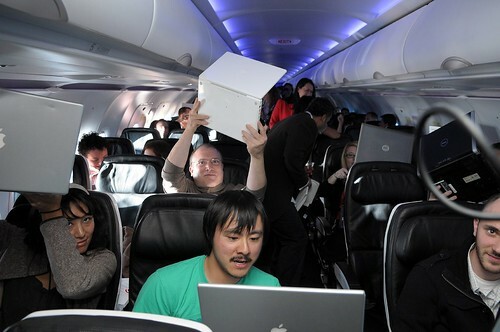 Even if it does, customers will face disruption because of incompatible devices. Moreover, I think it’s highly unlikely Globalstar will ever come into compliance now. Open Range can’t wait around. Hey, if they’re using satcom for backhaul to WiMAX towers, let’s see if one of the GEO operators steps in. 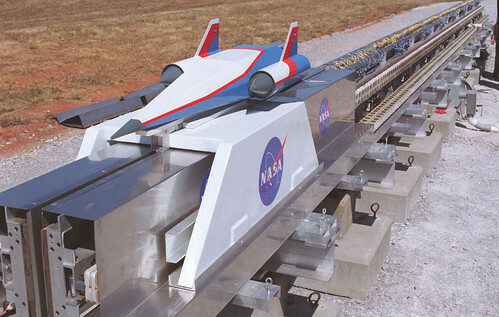 Using a giant electromagnetic rail system to launch scramjets to near-space, after which a second-stage type engine fires to reach orbit, is something we can expect to see after further development get it a practical level. If this type of system reduces overall launch costs, it would be a very good thing, as rocket-based launch systems can concentrate on getting bigger payloads into geo. It might read as the latest in a series of science fiction articles, but NASA’s Stan Starr, branch chief of the Applied Physics Laboratory at Kennedy, points out that nothing in the design calls for brand-new technology to be developed. However, the system counts on a number of existing technologies to be pushed forward. "All of these are technology components that have already been developed or studied," Starr said. "We’re just proposing to mature these technologies to a useful level, well past the level they’ve already been taken." WIVB-TV in Buffalo filed this report today, spurred by the Better Business Bureau’s blog post on satellite TV service last month. Hey, when I had DISH Network, we had very few weather-related outages. Now, with DirecTV, I get them all the time. More power and more bandwidth, please. Cobbet Hill earthstation expands satellite services in Europe, Middle East, and Africa with purchase of third iDirect Evolution hub. Arianespace signs production contract with European Space Agency to produce first operational Vega rocket launch; will deliver five launchers. CBS’s Stranathan believes the evolution from satellite back to terrestrial may begin within the next five years, with multiple carriers and growth of fiber-optic networks nationwide. Row 44 raises $37m in funding to continue rolling out its in-flight satellite service for Southwest Airlines. SIDOFI Communications Investments, Ltd. plans to acquire a 9.33% stake in Asianet Satellite Communications, Ltd., an India-based cable network services company, from Americorp Ventures Limited. Focus on "the next big thing" at IBC 2010 continues to be 3-D.
Iridium announces that Norbulk Shipping will install Iridium’s OpenPort systems across its fleet of more than 70 ships. Astrium leases Hylas 1 capacity to test military Ka-band services. KVH offers Premier Support 24 X 7 X 365 for owners of vessels with the TracPhone V7 satellite communications system. RRsat partners with BT to deliver first intercontinental interactive 3D video broadcast between London and Tel Aviv. Russian Rokot orbits a Gonets-M satellite and two Kosmos satellites according to Russian Defense Ministry spokesman. Via Embratel adopts Entropic’s Channel Stacking Swtich technology, to better serve customers in multiple-dwelling unit (MDU) environments by supporting multiple tuners over a single cable. Space Exploration Technologies (SpaceX) and Astrium engage in commercial agreement to provide dedicated launch services to European small satellite market. The satellite sector of the economy has ridden through the collapse of the economy well and business now looks to be booming, though warning flags exist. SES WORLD SKIES gets extension from Services Sound and Vision Corporation to continue delivering television and radio programming to British troops around the world. Military and commercial wideband satellites to provide broader coverage and address bandwidth surge, transforming battlefield communications. SES ASTRA and Digitaria create nationwide energy monitoring system in Italy using Newtec’s Sat3Play technology for connecting remote sites. Bell Canada is on the verge of a major effort to get inside Canadian family rooms with the introduction of new Internet-based TV services. Wegener receives order for receivers to be used in expansion of international background music network. Euroconsult releases report forecasting the number of satellites it expects to be launched by the end of the decade – 1,220 satellites. Intelsat is expanding Russian DTH satellite provider Orion Express’ programming capacity on the Intelsat 15 satellite. RRsat enters into partnership with Europe’s Digital Media Center (DMC) to offer a complete global playout and content delivery solutions to regional broadcasters. Hughes Communications receives Euroconsult award as Broadband Satellite Operator of the Year. SES extends its Multi Launch Agreement with International Launch Services through the end of 2014. SES ASTRA signs new service distribution agreement with Amman, Jordan-based satellite services provider, GSISCO (German Satellite Internet Service Company) to market its ASTRA2Connect service in Iraq, Jordan, Lebanon, and Yemen. Sky Deutschland to launch 3-D satellite service in October. KVH to acquire software engineering company Virtek Communications. Comtech Mobile Datacom receives $25m military contract. Harmonic encoders and statistical multiplexing implemented in headend for new South African pay TV service. Gilat is selected by Kenya Commercial Bank to provide SkyEdge II broadband satellite network. Iridium collaborates with Danish Maritime Safety Administration in project to demonstrate maritime safety information broadcasts. Comtech and CPI announce termination of agreement and plan of merger. Global VSAT Forum launches Maritime Satcom Forum to expand deployment of satellite technology in the maritime industry. 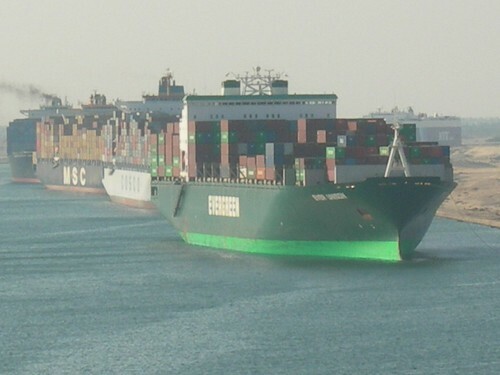 Stratos Global successfully deploys Inmarsat FleetBroadband satellite communications service on the entire fleet of 70 container vessels for Evergreen Marine Corp.
Lockheed Martin is selected by GeoEye to launch the company’s next generation high-resolution Earth-imaging satellite, GeoEye-2. European scientific satellite Ocean Circulation Explorer fixed and again transmitting data. Canadian satellite company Com Dev dismisses its CEO after heavy losses in Q3 2010. Telefonica International Wholesale Services of Peru chooses Gilat for broadband satellite communications network. Spanish broadband company Quantis is rolling out full-service broadband solution to remote and rural communities across Spain based on Newtec’s Ka-band Sat3Play technology, hub, and terminals. VIVACOM, the leading telecommunications provider in Bulgaria, signs multi-year multi-transponder contract for capacity on Intelsat 12 satellite. U.S. Army awards TeleCommunications Systems up to $3.8m for deployable satellite systems equipment. Europe Media Port announces that emerging Iranian DTH broadcaster Kahkeshan Digisat has selected EMP to provide DTH uplink teleport and transmission services to its European and Middle East targeted markets. StreamXcel Plus switching between satellite networks promises "always on" connectivity to shipping vessels. In the fourth launch in five weeks, Chinese broadcasting satellite is placed in orbit. Spain and Norway to build a satellite to be launched in 2014 to be used for both civilian and military purposes. Stratos Global joins forces with new Channel Partner, Zedi Inc., to deploy the world’s first large-scale SCADA network based on Inmarsat’s BGAN mobile broadband satellite service. American company Orbital Sciences begins production of first national telecommunications satellite of Azerbaijan. Long-standing Cobham dealer Ship Equip. places the largest single quantity order ever received for the company’s Sea Tel 09 series antennas. GE Satcom uses Newtec’s TelliCast IP software to power its maritime triple-play service. The U.S. Department of Agriculture yesterday awarded $19 million in broadband stimulus funds to a Texas wireless firm that has been charged with multiple securities violations in 3 jurisdictions over the past 3 years. In the most recent case the U.S. Securities and Exchange Commission charged the firm, TierOne Converged Networks, Inc., in US District Court in Dallas with violations of federal securities law. State securities regulators in Colorado and Texas issued cease and desist orders against the company in 2009 and 2008. The SEC filed charges against TierOne alleged “material misrepresentation” in the raising of “almost $9.5 million from approximately 200 investors in 34 states through a continuous unregistered offering of securities.” The initial SEC complaint was filed on April 27 against the firm, a wireless Internet service provider (WISP). In a settled complaint action, filed with the court 3 days later, TierOne agreed to stop the practices alleged by the agency, without admitting to or denying the veracity of the charges. I wonder how many other questionable funding deals are out there. TierOne calls itself a WISP (Wireless Internet Service Provider), but I don’t see any satcom as part of the solution. 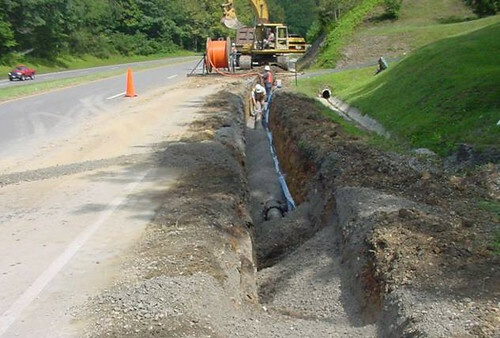 Two projects in southwestern Virginia will receive federal stimulus funding to provide high-speed Internet access in rural areas. Agriculture Secretary Tom Vilsack announced the funding Tuesday. The U.S. Department of Agriculture will provide a $7.45 million loan and a $17.4 million grant to the Scott County Telephone Cooperative. The funding will be used to provide broadband service to about 12,000 residents, 80 businesses and 16 community institutions. A $6.06 million loan and a $14.16 million grant will go to the Lenowisco Planning District Commission to build a fiber-optic network. Vilsack says the network will provide broadband access to more than 42,000 residents, an estimated 1,550 businesses and 100 community institutions. Scott County Telephone Coop gets their video programming via satellite, so that’s cool. Although it looks like they’ll be laying down some fiber to get ‘er done. Hughes Network Systems received $59 million to offer satellite broadband service to rural residential and commercial subscribers nationwide. Approximately 258,685 people stand to benefit, as do 3,200 businesses. WildBlue Communications was awarded $20 million to offer satellite broadband service in the West and Midwest United States. Approximately 110,150 people stand to benefit, as do roughly 4,896 businesses. Spacenet received an $8 million award to offer satellite broadband service to rural residential subscribers in Alaska and Hawaii. Echostar was awarded $14 million award to offer satellite broadband service to rural residential and commercial subscribers. The funds will provide service to 42,478 people and 1,888 businesses. Hope the satcom players keep it clean — and book some business. China to launch communications satellite Sinosat-6 within next few days from Xichang Satellite Launch Center. Less than half of Internet connections meet FCC goal of 4 Mbps downstream and 1 Mbps upstream; satellite internet connections grow at faster rate of 6% than DSL, but still number only 1 million subscribers. Three GLONASS global navigation system satellites successfully orbited by Russia. MTN announces StreamXcel Plus, a new integrated hardware and software solution for managing shipboard satellite communications. Star Navigation Systems Group Ltd. introduces new and improved STAR-ISMS(tm) Inflight Safety Monitoring System, an adjunct to the traditional "black box" and huge improvement in aerospace safety technology. New Signature Interference Characteristics tool is launched by Satellite Users Interference Reduction Group to provide assistance when encountering and resolving unknown signals interfering with satellite signals. Integral Systems is awarded $1.5m contract modification to its Command and Control System – Consolidated contract by the U.S. Air Force. OnAir launches full Mobile OnAir and Internet OnAir inflight passenger communications services on first of EGYPTAIR’s fleet of Airbus 330-300 aircraft. Vizada teams up with partner Nautical to provide Inmarsat FleetBroadband service to more than 300 Spanish fishing vessels, allowing them to comply with new European Union regulations. Thrane & Thrane’s EXPLORER 325 will handle communications during "green" expedition in which two electric Nissan Qashquals are driven around the world. SES ASTRA announces new initiative to support introduction of 3D television in Europe. Euroconsult, in new report, forecasts that number of satellite communications terminals aboard commercial and private ships will more than double over the next decade. GE Satcom is launching satellite-based communications service for shipping operators, delivering triple-play service with telephone, internet, and TV content. Apple to launch $99 set-top box later this month in direct challenge to traditional cable, satellite, and telecom TV service providers. New system for predicting solar storms promoted as means to help avoid power and communications blackouts, though European Space Agency holds that there is little danger of communications satellites being damaged by solar storms. Eurosport selects capacity on Eutelsat’s EUROBIRD ™ satellite to transmit the TENNIS US Open in 3d for demonstrations at the Berlin IFA consumer electronics show. NASA’s newest Geostationary Operational Environmental Satellite, GOES-15, successfully completes five months of on-orbit testing and is accepted into service. VISLINK to unveil Advent NewsLite, a portable, IP-enabled SatCom terminal designed for use with current and new lightweight antenna systems to combine high bandwidth broadcast contribution fees with flexibility of BGAN type news gathering. VISLINK announces formation of VISLINK (China) Limited, to enhance its sales and marketing presence in China. Stratos Global begins deployment of its new StratosMAX II broadband service across the Gulf of Mexico region. Newtec Elevations modulators, shapers, and encapsulators utilized by CETel African to upgrade trunking services to Africa and the Middle East. Eddie Bauer First Ascent expedition team successfully ascends Mount Everest and maintains contact with project team and uploads photos during the ascent using a Stratos Global Inmarsat BGAN mobile broadband terminal. Unmanned aircraft system guided by satellite navigation has been developed within ESA’s Business Incubation Centre to provide rapid monitoring of land areas and disaster zones – already have assisted Spanish farmers in Andalusia fight land erosion. Globecomm Systems quadruples its points-of-presence and teleport facilities, enabling telecommunications service providers to enhance and simplify connect5ivity requirements around the globe. Gravity-mapping satellite GOCE glitch expected to be fixed by work-around, as officials hope for approval to extend its mission. Orange uprates its IP services over satellite to African continent with Newtec Elevation modems and FlexACM technology. NASA reports that debris from the ICESat spacecraft fell to Earth in the Barents Sea on August 30. Propulsion glitch prevents the first AEHF satellite of the U.S. Air Force from reaching operating orbit; service devises new orbit-raising plan utilizing smaller thrusters that will delay arrival at operating orbit by six months. Next DigitalGlobe remote sensing satellite to be built by Ball Aerospace. Boeing-built WGS satellites carry 10 Harris-provided phased-array antennas, providing flexibility and data rates crucial to soldiers on the battlefield. New fiber cables being layed connecting West Africa to the Internet bring competition, but many remote regions still will not have fiber access. In June, mission scientists submitted findings for peer review that identified more than 700 planet candidates in the first 43 days of Kepler data. The data included five additional candidate systems that appear to exhibit more than one transiting planet. The Kepler team recently identified a sixth target exhibiting multiple transits and accumulated enough follow-up data to confirm this multi-planet system. "Kepler’s high quality data and round-the-clock coverage of transiting objects enable a whole host of unique measurements to be made of the parent stars and their planetary systems," said Doug Hudgins, the Kepler program scientist at NASA Headquarters in Washington. Scientists refined the estimates of the masses of the planets using observations from the W.M. Keck Observatory in Hawaii. 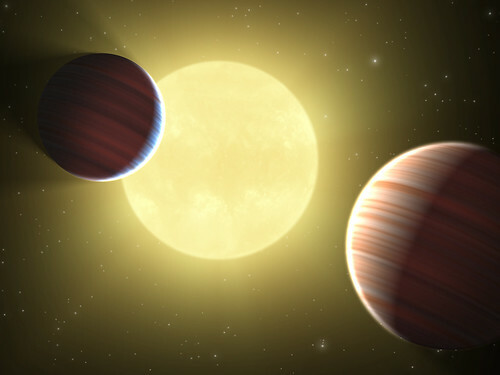 The observations show Kepler-9b is the larger of the two planets, and both have masses similar to but less than Saturn. Kepler-9b lies closest to the star with an orbit of about 19 days, while Kepler-9c has an orbit of about 38 days. 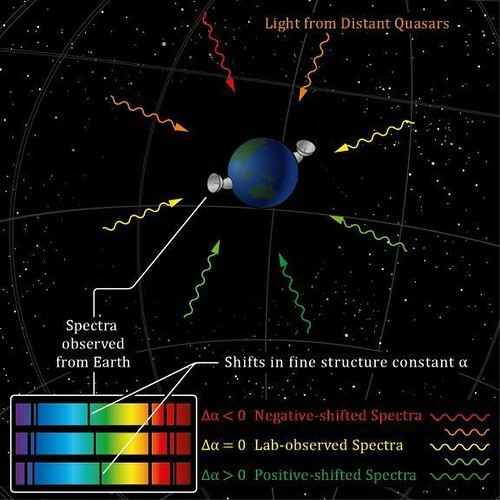 By observing several transits by each planet over the seven months of data, the time between successive transits could be analyzed. "This discovery is the first clear detection of significant changes in the intervals from one planetary transit to the next, what we call transit timing variations," said Matthew Holman, a Kepler mission scientist from the Harvard-Smithsonian Center for Astrophysics in Cambridge, Mass. "This is evidence of the gravitational interaction between the two planets as seen by the Kepler spacecraft." In addition to the two confirmed giant planets, Kepler scientists also have identified what appears to be a third, much smaller transit signature in the observations of Kepler-9. That signature is consistent with the transits of a super-Earth-sized planet about 1.5 times the radius of Earth in a scorching, near-sun 1.6 day-orbit. Additional observations are required to determine whether this signal is indeed a planet or an astronomical phenomenon that mimics the appearance of a transit.